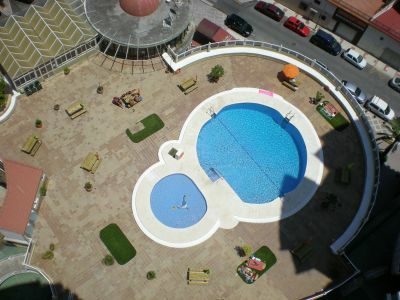 Beautiful apartment for rent in Torremolinos, Costa del Sol, Spain. Beautiful apartment of 78 sqm, on the 17th floor with 3 lifts, for rent in Torremolinos, 10 minutes from Malaga Airport by car. 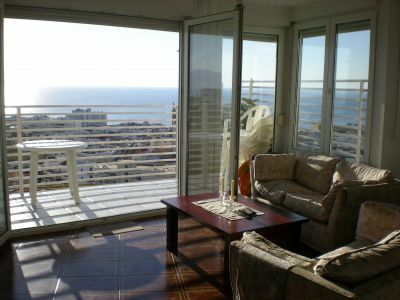 The apartment is located 600 meters from the sea, only a 10 minutes walk to the beach. Close to everything: shopping, weekly markets, cosy restaurants, bars, cafés, golf courses and shopping centers with stores and boutiques. Good communication, no car needed really. 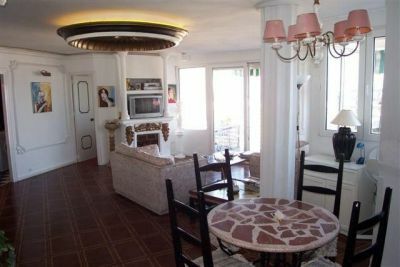 Walking distance to commuter rail and bus stations with very good connections to Malaga, Fuengirola and Marbella. 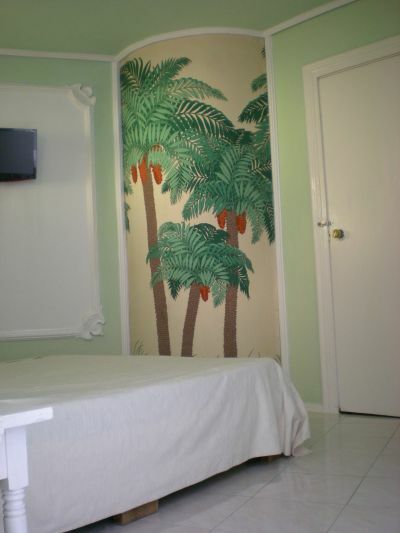 The apartment has a large lounge, one bedroom, sunny balcony, kitchen and bathroom. The apartment has big windows and balcony with glass doors. 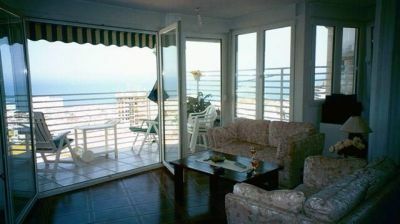 The balcony is large and sunny with stunning panoramic sea views. Living room with dining area for four people, TV, VCR, DVD, fan and fireplace. 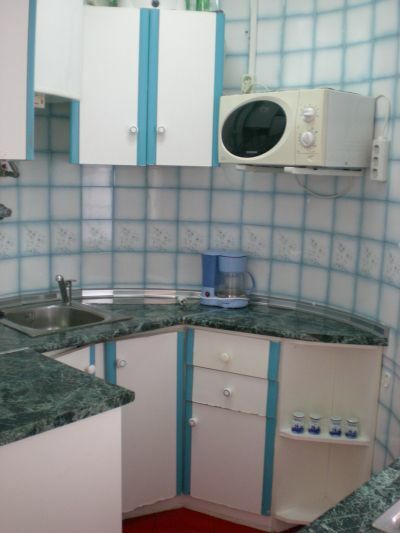 Fully equipped kitchen including microwave, coffee maker and large fridge. The bedroom has a double bed and two extra beds. 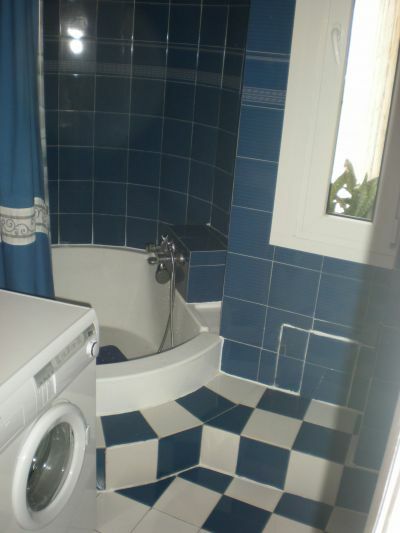 Bathroom with round bath, shower and washing machine. Long-or short-term rentals. The contract provided directly by the owner. If it is sun and heat that you're looking for then you have come to the right place, Torremolinos has a wonderful climate. If you're looking for nature and culture, here is everything you could want, ranging from picturesque mountain villages to explore to luxurious golf courses. Spain in general and Costa del Sol in particular, offers a variety of golf courses of high standard, the coast is called by many "Costa del Golf". And, no wonder, with more than 3,000 hours of sunshine per year! 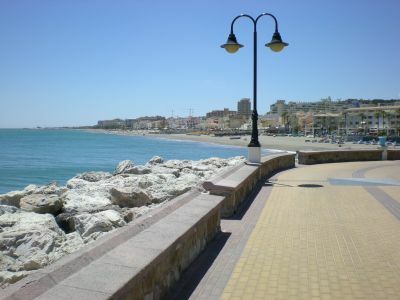 Torremolinos has a magnificent coastline that stretches about 7 km, with many sandy beaches near the town center and offers the perfect spot for sunbathing, swimming and water sports. 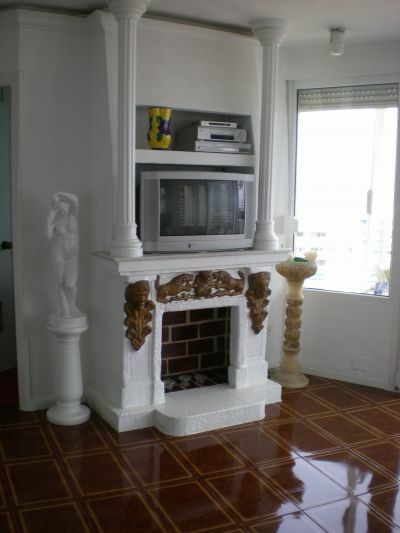 The appartment is located about 600 meters from the sea, a 10 minute walk to the beach. 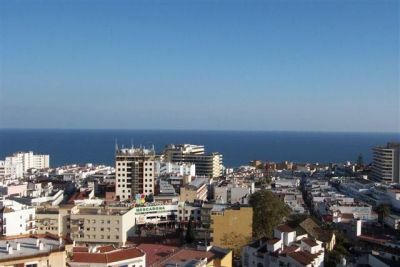 Torremolinos is situated just outside Malaga with excellent communication facilities to nearby towns such as Fuengirola, Marbella and Benalmadena. Sun, beautiful beaches, bars and discotheques, fine restaurants, these words describe perfectly the most beautiful city in Spain: Torremolinos. 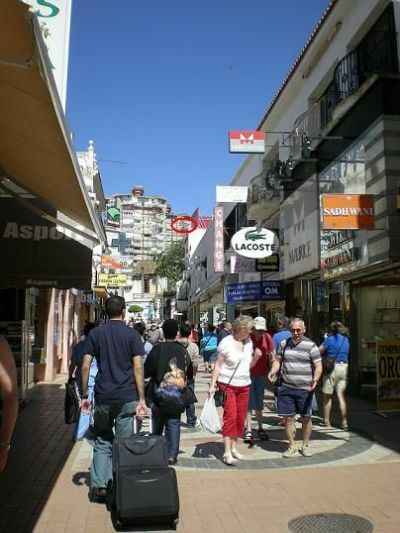 Torremolinos is a tourism-oriented city, tourists come here from all over Europe and Spain to spend their holiday. At the Costa del Sol, there are miles of beautiful sandy beaches and a wonderful climate which makes it one of the world's most popular holiday locations. With more than 320 sunny days a year it's a reliable holiday destination. There is a wide range of activities, for families there are zoos, water parks and shows to see. For the elderly there's everything from golf, tennis, good food and a wide selection of nightlife. You also have everything you need within easy reach such as shops, stores, banks, pharmacies, doctors and major grocery stores. There is a wide selection of beaches to choose from, among them "La Carihuela" about 1 kilometer away is very beautiful. In La Carihuela there are restaurants on the beach called "Chiringuitos", sunbeds to rent and nice atmosphere. An evening stroll is to recommend! Please do not hesitate to contact me for further questions or to make a reservation.